 Welcome to Porcgo LLC – Package Optimal Receiving Choices. The mission of this service is to provide the safe and secure delivery of your products, packages, shipments safely and securely inside your home. Access will be made via keyless entry locks which the client will own or purchase upon signing up for this monthly service. By signing up for monthly membership with Porcgo llc- Package Optimal Receiving Choices you are agreeing to provide secure access to your home or business via a keyless lock and/or not limited to garage code access. All clients will be provided our central shipping address along with an individual mail stop code. This code must be included with your new shipping address for all Porcgo llc deliveries. Mail Stop Code is for access to the PORCGO LLC database: providing your delivery information, i.e. address and delivery instructions, and preferences. Package Optimal Receiving Choices LLC is Bonded and Insured, meaning that all packages are covered under Porcgo llc coverage from the point of delivery to Porcgo llc. to the delivery via keyless door code or in person hand off of packages and in store package pick-ups. Once packages and purchases are securely placed in the home or in the hands of the client Porcgo llc is no longer liable for the package or purchase as it is now delivered per client preferences. PORCGO LLC. is obliged and committed to sending a text picture of the packages and parcels as they are delivered by the shipping and mail service. This is to insure the integrity of your package delivery service and prove the condition of all client property as we receive and accept packages. Signature packages will be received by PORCGO LLC and delivered to client’s home within 24 hours of receipt. No longer than 24-hour period for delivery, all clients have the option of expediting delivery. Delivery times for expedited items will be delivered until 9:00 p.m. or the following day and placed inside the home or will be hand delivered to client or persons designated to receive packages at the home or business. Should there be any exclusions it must be requested in writing and approved by PORCGO LLC. PORCGO LLC will not leave any packages outside of the home. All packages and properties will be returned to PORCGO LLC secure facility and will be delivered the following day. PORCGO LLC. offers specialized pickup services within our designated jurisdiction, anything outside of the designated areas of coverage may be declined. PORCGO LLC. requires keyless entry for all packages, parcels, and property delivered. If for any reason the keyless entry system is not functioning, we have the right to return the property of our clients to the PORCGO LLC facility, until the locks are functioning. All deliveries and orders require notification to PORCGO LLC. This is to ensure the timely delivery of expected packages and the ability to track packages for more timely and efficient delivery. All food items i.e., meal plans will be expedited for same day delivery. Cancellations are by written notice via e-mail or mail. This is a monthly membership; all membership cancellations will be acknowledged on the 15th and the last day of each month. Current package size: 100lbs or less is the current delivery size. Special delivery requests will be reviewed individually. We will do our best to accommodate our clientele. Certain restrictions apply. Porcgo llc. reserves the right to refuse service at Porcgo llc discretion. Pets: Porcgo llc must be notified if there are pets on the premises, dogs, kitties, birds, any animals PORCGO LLC needs to be notified and prepared for all situations. In the case of dogs and cats it would be best if the deliveries were placed in the garage to prevent any issues or stress on the pets. Please note that Porcgo offers in-person delivery and custom delivery to client’s car or place of work, etc. Delivery of alcohol, wine, fire arms, ammunition, tobacco, or anything deemed hazardous or explosive such as but not limited to CO2 canisters for Soda Stream or the like will require a signed agreement by property lessee, or owner of property packages are contracted to be delivered to. COPY OF CLIENTS DRIVERS LICENSE: PROOF OF AGE FRONT AND BACK. Some individual cases may require proof of age in person, requiring scheduled in home delivery through- 9 p.m. MCT. All deliveries requiring a signature are received and signed for and addressed to Porcgo llc. as stated in our terms of services Porcgo. All packages signed and received by Porcgo llc. FOR ALL SIGNATURE REQUIRED PACKAGES: PLEASE SIGN AND DATE THE FOLLOWING STATEMENT ALONG WITH PROOF OF LEESE OR OWNERSHIP OF DELIVERY LOCATION.